When looking for the best in billiard supplies online, we offer one of the best selections of the leading brands in the industry. 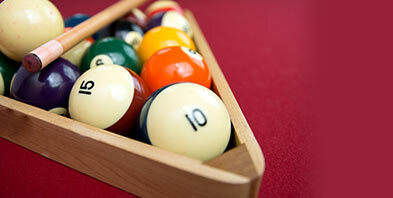 With over 15 years in the business, we know a thing or two about billiards. 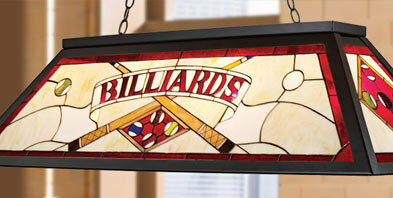 In fact, our family operated business began as a local billiard company that has since grown into a national brand. 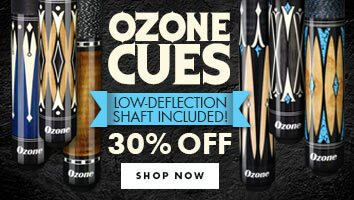 At Ozone Billiards, we know what players look for in billiard supplies because we are players, too! Billiards is an exciting, competitive sport played by a diverse crowd. From the local bar hangout to upscale billiard rooms at home, billiards supplies are must-have essentials if you want to continue having fun. 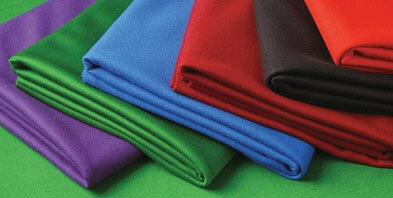 When it comes to billiard supplies, we offer a wide selection of all the essentials and then some! Whether you’re a casual pool fan, a league player, or a professional, we have the best selection of billiard supplies to meet your needs. 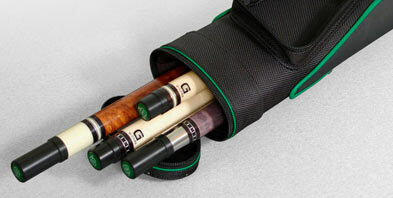 When it comes to billiard supplies, having a wide range of options can help you find the perfect fit for your playing level and goals. We offer all of the essentials such as pool tables in a variety of styles and sizes, ball sets with various designs, cue accessories to help you perform at your best, and more. 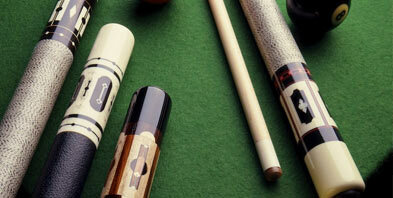 When looking for a high-quality pool cue, we offer thousands to choose from! With an inventory featuring the top brands in the world of billiards for quality and performance you can trust, you are sure to find the perfect pool stick to help improve your game. We offer pool cues made from various materials, including birch and maple, for cues made to last for many years. 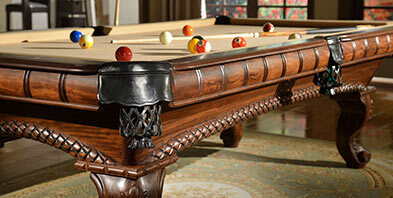 Most of the pool cues we offer even come with lifetime warranties for an added value! 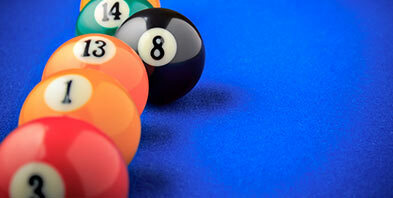 Looking for pool supplies outside of the basics of tables, cues, and balls? We have something for you! From dart boards to t-shirts supporting your favorite brand, we have you covered! 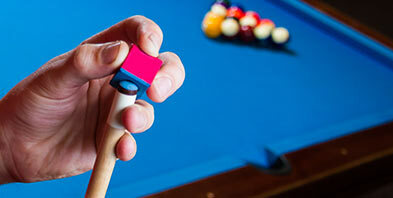 When it comes to smaller necessities of a great game, check out our selection of pool accessories. 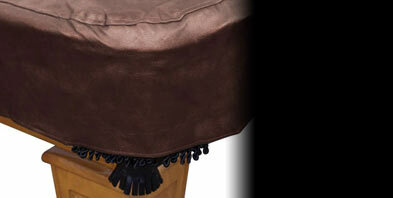 You will find it all including ball cleaners, cue cases, racks, table covers, billiard gloves, and more. Looking for a way to improve your game? Check out our selection of billiards training and instructional aids to get the upper edge on your next game! At Ozone Billiards, we are pleased to be your destination for all your billiards needs from cue balls to pool cues and everything in between. If you have any questions about our inventory, a member of our team would be happy to help! Trick Shot of the week! Learn a classic trick shot setup you can do at home from master trick shot artist Florian "Venom" Kohler. The Ozone Billiards Library offers you free training videos and articles by some of Today's top professional billiard instructors. Learn an few tips and tricks to get you ahead of the game. Visit us in Kennesaw or Norcross, GA. Over 20,000 sq ft of Pool Tables, Hot Tubs, Theater Seats, Game Tables, Arcades, Grills and so much more. Feel free to try out almost anything in the store including professional pool cues, hot tubs and home theater seats! Be the first to find out about our hottest sales, and hidden deals! We include free training videos and articles in almost every email! 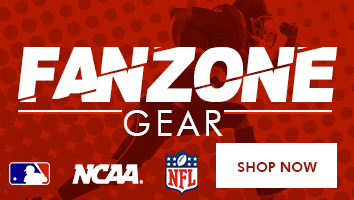 Ozone never sends junk and will never sell your email address to anyone.